Here you are looking at the utility area, for the washer, on the newly framed wall. 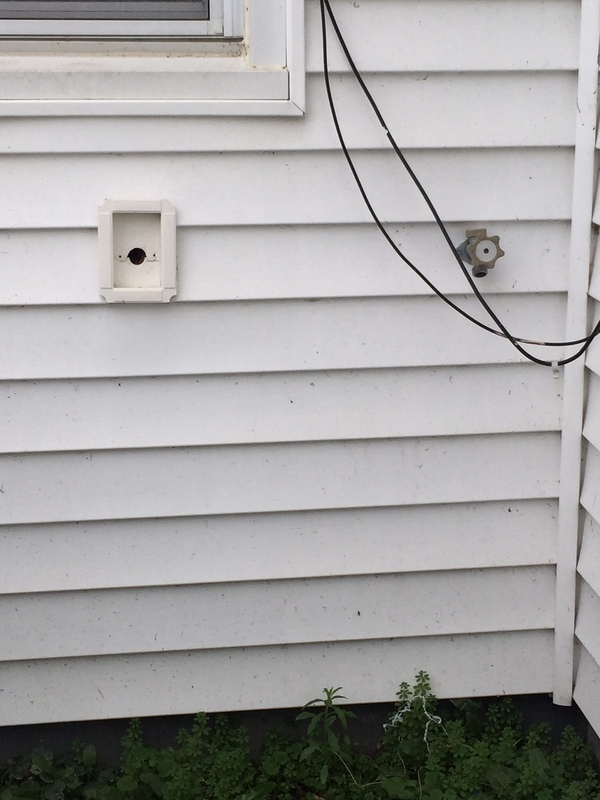 To the left of the newly framed wall is where all the lines intersect for the entire house. So, the lines from upstairs, and fresh water lines that lead into the kitchen. 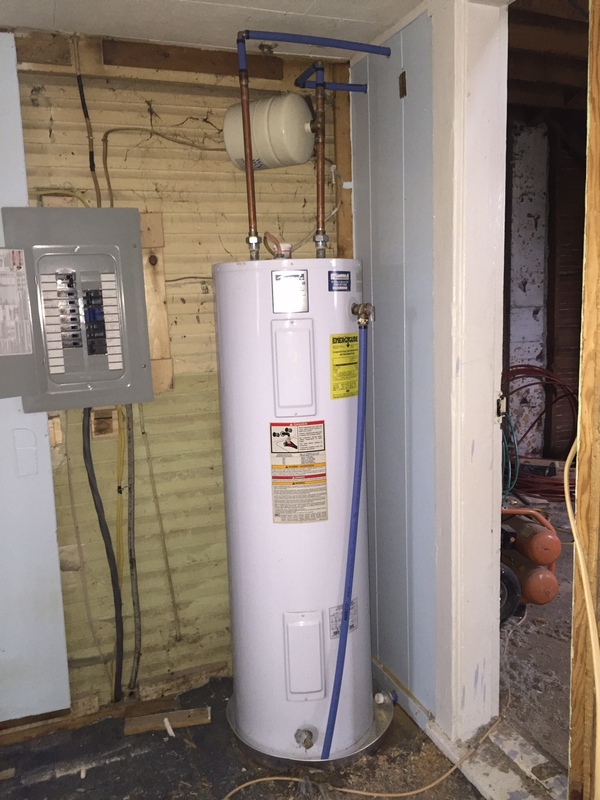 Hot water tank has all new lines, and drain around it that leads out of the house, just in case we have an issue. Honestly, with the Will Water Curse, I wouldn’t put this past us to have an issue at some point. This is in the kitchen. Water line running to the sink, and they added a line for a refrigerator. Something we didn’t have before with the old kitchen, but it will be nice to have an ice maker! 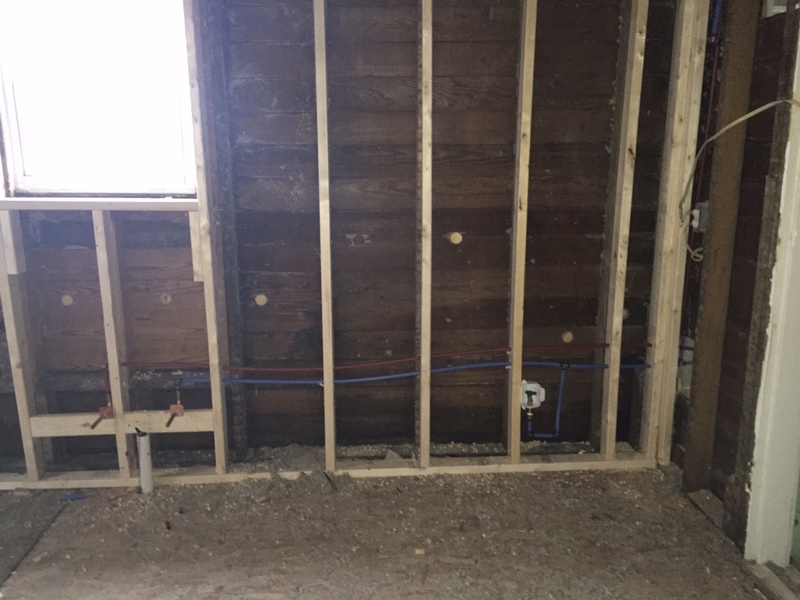 They framed the main kitchen wall, so they could run the plumbing and electric, and this will make it much more level for the cabinets. 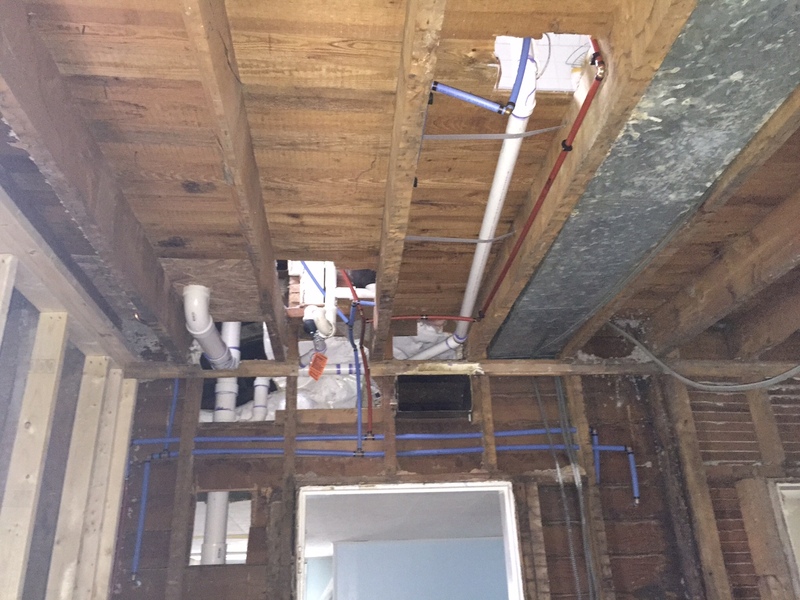 This picture is looking up at all the water lines for the upstairs bathroom. 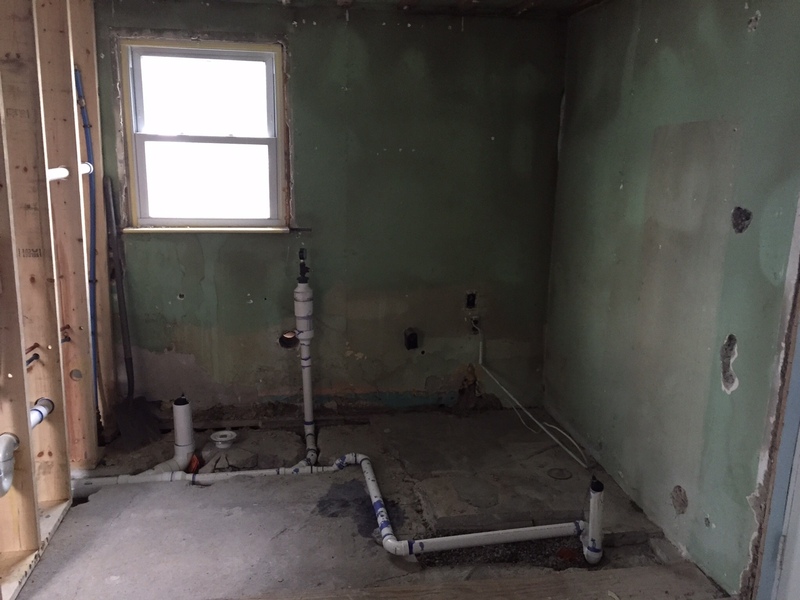 The two above pictures are the toilet and tub on the left, and the right picture is the new plumbing for the sink. 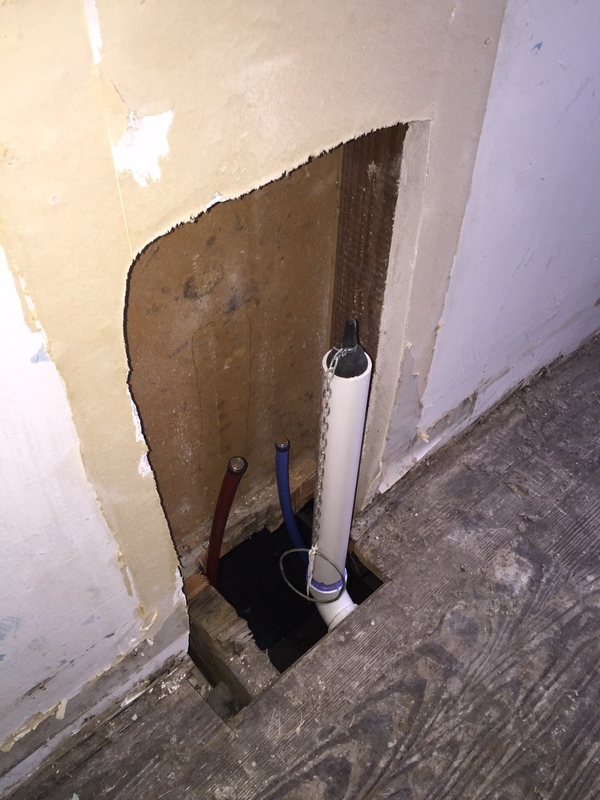 This last picture shows that they even had to move the outside water spigot, so it wasn’t located in the bathroom we moved down. 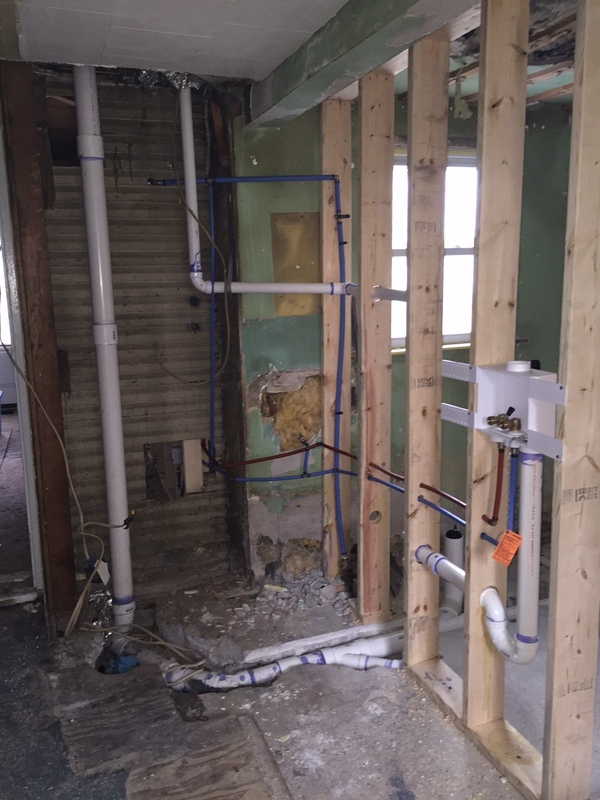 So, there you have it, a tour of our new plumbing. 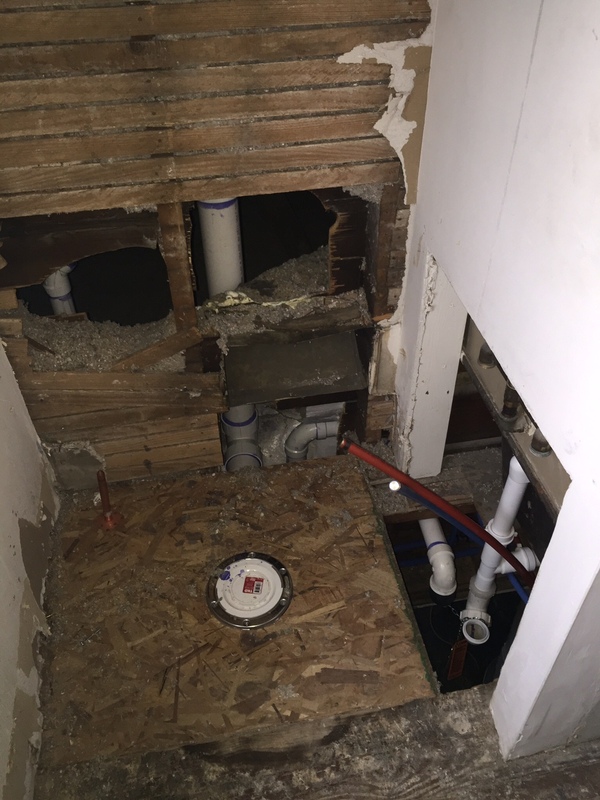 This weekend we will finish framing the downstairs bathroom, and installing the raised floor. We will also patch the drywall in the upstairs bathroom and get it ready to paint. I know this is ambitious, but I would love to have a working toilet by the following weekend . . .